Our Lady of the Woods holds monthly meetups, Pagan Dinner Out. You can find out about the next dinner on our meetup (https://www.meetup.com/Los-Alamos-Pagan-Meetup/events/) or facebook (https://www.facebook.com/Our-Lady-of-the-Woods-127499240622310/?ref=bookmarks) pages. If you think you might be interested in joining the coven, attend one or several of the monthly dinners. Spend time getting to know the members of the coven who attend. Ask lots of questions, both about the coven in particular and Wicca in general. Think about the time commitment involved. 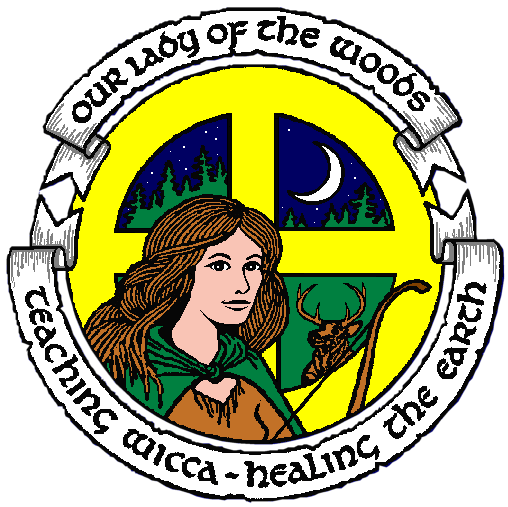 Our Lady of the Woods meets in Los Alamos, NM nearly every week, on Wednesday nights from about 5:30 or 6:00 to 9:00 PM. Students are required to attend 75% of all coven meetings. We also have an annual weekend retreat. Will that work for your schedule? Members of the coven either are or are studying to be Wiccan Priests or Priestesses. Is this what you want? Are you over 18? Our Lady of the Woods does not accept members that are under 18, both for practical reasons and because we feel that the teenage years are a time for exploring and questioning, not a time to commit to the focused study of one path that coven membership entails. If, after this process, the coven feels like a good fit for you, let us know that you are interested in becoming a member of the coven. You might be asked to attend additional Pagan Dinners, so that we can get to know you, or so we can give you more information about the time commitments involved. You may think you asked all the possible questions, but there may be a few more things you need to be aware of. You might be asked to attend one or more of our regular Wednesday night classes or rituals so that the members of the coven who don’t regularly attend Pagan Dinner Out can meet you. One or more individual member of the coven might ask to meet with you privately. When all parties are agreed that it is appropriate to go forward, you will be given an application form to fill out. It will be distributed to all the coven members, and a formal interview will be scheduled. If the interview goes well, we will schedule a dedication ceremony for you, and your studies with Our Lady of the Woods can begin in earnest. If this seems like a slow, careful process, that’s because it is. The members of Our Lady of the Woods are a family of choice, so we are careful about accepting new members. We expect that anyone considering membership would take equal care. If at any point in the process, it does not feel right to you, there are plenty of resources available in the wider Wiccan or Pagan community. We’re pretty well connected. There are lots of other opportunities for study and community available in northern New Mexico.